In order to determine if the Rotary Youth Exchange Program is right for you, please read the following details. Sharing in the costs are host families (who pay for room and board), the host community (who cover school tuition and arrangements) and host Rotary club (who offer a small monthly stipend). Exchanges can take place in more than 150 countries and geographical areas. Please note, however, that the countries you visit depend on the exchanges that are available for that year. Recent exchanges have included Italy, France, Belgium, Austria, Switzerland, Denmark, Finland, Netherlands, Sweden, Germany, Mexico, Brazil, Argentina, Peru, Bolivia, India and Japan - and others are possible. 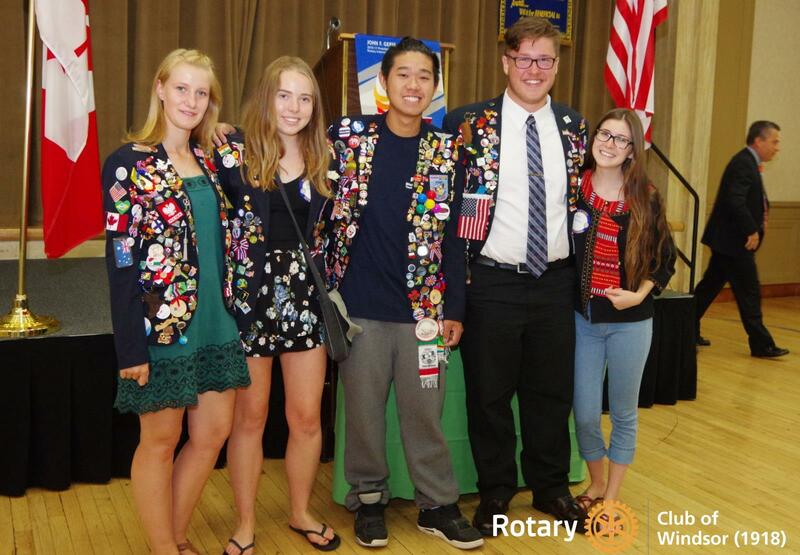 Contact Sevda Barin, chair of the Rotary Club of Windsor (1918) Youth Exchange committee, for more information.